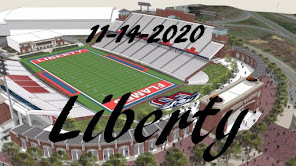 Selected as the Southern Conference Freshman of the Year and finishing fourth in the STATS FCS Freshman of the Year voting, Tyrie Adams was selected the first team freshman quarterback by HERO Sports. Ian Berryman finished the season ranked second in the SoCon in punting average at 44.9 yards per punt – a mark which ranked him fourth nationally. 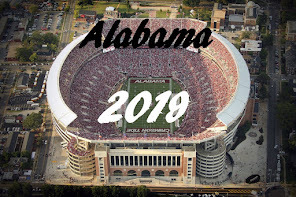 The Marietta, Ga., native punted a combined 52 times for 2,335 yards including a career-long of 64 yards twice. He was a critical part of turning field position for the Catamounts, downing 18 punts inside the opponents’ 20-yard line with just four touch backs. 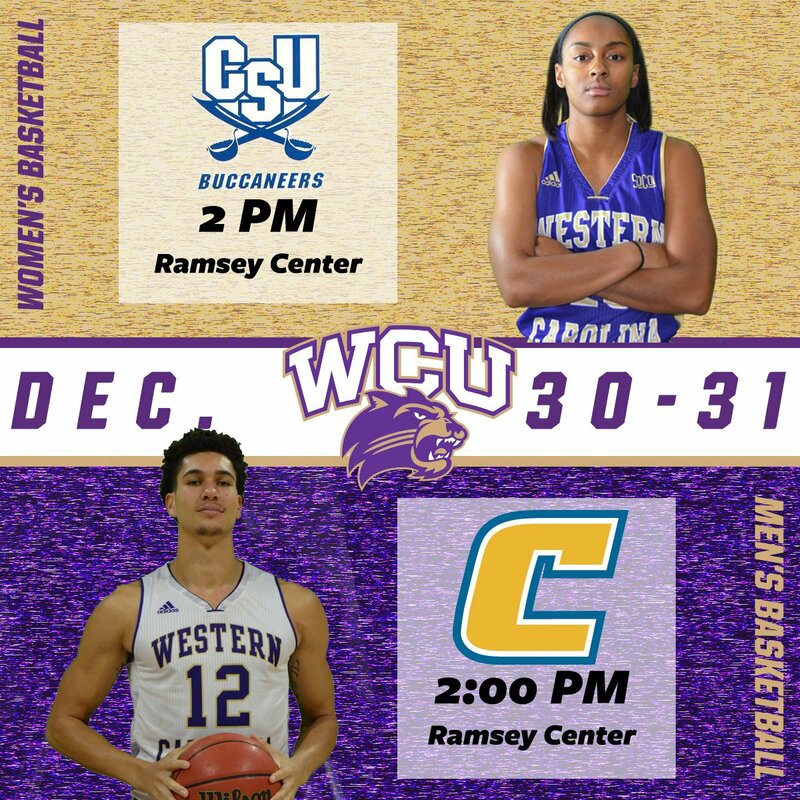 The women face Charleston Southern on Friday (2 pm) & the men face Chattanooga to open Southern Conference play. The conference season kicked off last night with one SoCon match-up on the schedule. Three other non-conference games were played Wednesday. A full slate of conference games are scheduled for Saturday. Only one game is on the schedule for Thursday. 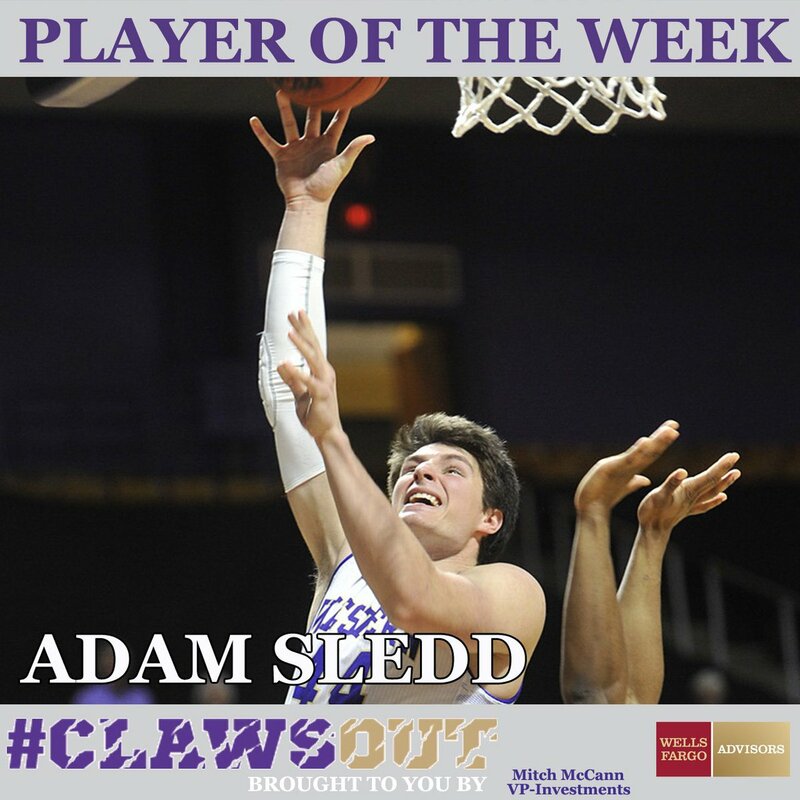 Catamount Player of the Week is freshman Adam Sledd who scored career-high 14 vs. College of Charleston last Thursday. Series: The Cats are 21-7 overall against the Lions, in a series that started in 1945. Western is 17-5 against the Lions in game played in Cullowhee, and 4-2 on the road. Division II Mars Hill is a member of the South Atlantic Conference. 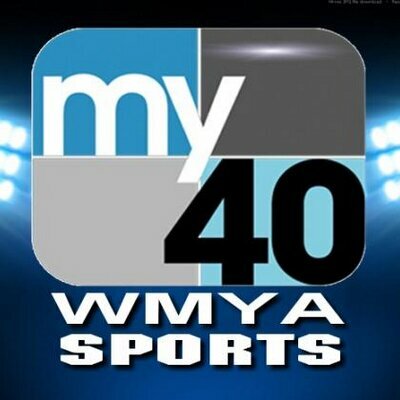 Back on Nov. 22 of this year, Head Coach Rick Scruggs stepped down as the men's head coach at Mars Hill. Scruggs was in his fifth season with the Lions at the time of his resignation. Mars Hill appointed men's basketball assistant coach Vic Finora as the Interim Head Coach, his record at Mars Hill is 1-5. The Lions are currently 3-7 overall on the season (1-4 in conference play). They are 0-4 in road games and 3-3 at home. The Lions come into the game on a 3 game skid. They are averaging 77 points per game, hitting 44% of their fiels goals, 32% of three-pointers and 67% of their free throw attempts. So far this year, the Lions have played ETSU (loss 104-67), Wofford (loss 79-76), and UNCG (loss 108-56). Only one game was scheduled for Friday. 3-Point Shooting Lifts Dayton Past VMI, 92-56 - The Dayton Flyers canned 15 three-pointers and placed seven in double-figures scoring in a 92-56 win over VMI Friday night before a crowd of 12,612 at UD Arena. Reserve forward Sam Miller (15 points) and guard Durrell Davis (14 points) led a balanced UD scoring attack that featured five other players that reached the 10-point plateau. No games are scheduled in the SoCon until Wednesday, December 28, but conference play will kick-off with one conference game. Not a very good outing for the conference, going 1-6 on the night. Out of several close games, only Samford pulled out a win. We missed a great opportunity to improve the overall conference RPI. The Vol's Detrick Mostella scored a career-high 25 points off the bench as the Volunteers outlasted ETSU 72-68. Desonta Bradford put up 14 points to lead the Bucs. Furman at Michigan Michigan's Moritz Wagner scored 13 of his 18 points and Zak Irvin put up 16 points, helping Michigan hold off the Paladins in a 68-62 win. Devin Sibley had 16 points to lead Furman. Georgetown's Jessie Govan had a game high 20 points and nine reboundsto lead the Hoyas past UNCG 78-56 on Thursday for the Hoyas' sixth straight victory. RJ White score 14 points to lead the Spartans. Georgetown hit 51% of their field goals while holding the Spartans to 31% shooting. The Cougar's Joe Chealey hit 3 of 4 from long range as Charleston shot 50% from three-point range to roll over Western Carolina 77-59. Charleston hit 49% of their free throws, while holding the Catamounts to 36% shooting. Once again the Cats were dominated at the free throw line, as the Cougars made 23 points in their 35 attempts at the line, while the Cats hit 10 of 15 attempts. La Salle's Pookie Powell hit a 3-point jumper and added two free throws in the third overtime to give the Explorers a 98-96 the win over Mercer. The Bears' Jordan Strawberry had a game high 31 points. Tech's Josh Heath made four free throws in the final five seconds as Georgia Tech hung on for a 76-72 win over Wofford. Eric Garcia had a game high of 23 points as Ben Lammers led the Yellow Jackets with 19 points. The Bulldogs Triston Chambers had 20 points, including six 3-pointers as Samford cruised to a 83-63 win over Florida A&M. Desmond Williams scored 20 points to lead the Rattlers. only one game on the Schedule for Friday. The Mocs' Tre' McLean had 14 points and 10 rebounds for his second double-double of the season as he led the Mocs all the way in a 73-57 victory over Jacksonville State on Wednesday. JSU's Malcolm Drumwright also put up 14 points for the Gamecocks. 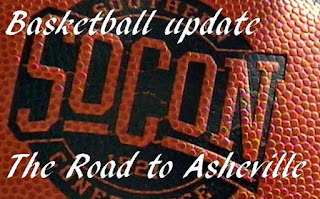 ......another big night in SoCon basketball, as seven games are on the schedule. The SoCon can really help their RPI with good out of conference wins Thursday night. Four of the seven games are on the SoCon team's home court. Series: The Cats are 7-20 vs. the Cougars overall, in a series that began in the '52-'53 season. The Cats are 6-7 in games played in the Ramsey Center. Most of the games were played while Charleston was a member of the Southern Conference, and the Cats are 5-14 overall against the Cougars during that period. On Thursday, former Southern Conference member College of Charleston travels to Cullowhee for a 7:00 pm contest. The Cougars are currently ranked #21 in the College Insider Mid-Major Top 25. The Cougars are coming off 65-75 loss to LSU on Monday night, which broke a 5 game winning streak for the Cougars. The Cats enter the game off a home win over High Point. This season, the Cougars are 8-4 overall, are 5-2 in Charleston and 2-2 on the road. The Cougars have wins this season over the Citadel, Coastal Carolina. Boise State, USC Upstate, Navy, Davidson, Anderson, and East Carolina. So far this year, the Cougars are averaging 63 points per game, with three individuals scoring in double figures. Joe Chealey is averaging 14 points, Jarrell Brantley averaging 13 ppg and Grant Riller is scoring 10 ppg, The Cougars are holding opponents to an average of 60 points per game. #13 Joe Chealey, G, 6-4, 195, RS-Jr.
#1 Grant Riller, G, 6-3, 185, RS-Fr. #12 Cameron Johnson, G, 6-4, 200, Jr.
#5 Jarrell Brantley, F, 6-7, 250, So. #23 Nick Harris, F, 6-10, 250, So. VMI's QJ Peterson scored 15 points and six rebounds as the Keydets beat Division III Frostburg State 72-53 on Tuesday night in Lexington. FSU's Edwin Cole led a scorers with 17 points. Only one game scheduled on Wednesday, but is should be a good one. The SoCon had a good night on Monday, going 4-2, with wins over High Point, Coastal Carolina, UNC Asheville, and Tennessee Tech. Wofford's Fletcher Magee and Eric Garcia combined for 50 points, Ryan Sawvell made the game-winning layup with 17 seconds left, as the Terriers beat Coastal Carolina 75-74 in Conway. Magee had a game high of 27 points, while Jaylen Shaw scored 19 points for CCU. Greensboro's Marvin Smith led the scoring for the Spartans with 16 points, but it was James Dickey that scored six of his 12 points in the final six minutes as UNCG held on to knock off Asheville 75-73 in the Kemmel Arena. MaCio Teague lea the Bulldogs and all scoring with 29 points. Furman's Devin Sibley scored a game high 21 points to lead the Paladins to a 68-62 win over the Tennessee Tech Golden Eagles. Hakeem Rogers scored 19 points to lead the Eagles. The Palading went 10 for 22 on three-point shots, for 46%, while holding Tenn Tech to 6 of 25. The Cat's Devin Peterson scored 18 points, and Haboubacar Mutombo added 13, as Western Carolina held on to beat High Point 70-65, snapping a six-game skid game win streak for the Panthers. The Cats held Panther leading scorer Andre Fox to 9 points, one field goal and 6 points at the free throw line. The Cats entertain former SoCon member College of Charleston on Thursday. UMCB's Jarius Lyles scored 32 points and pulled down 20 rebounds as Retrievers finally pulled away from the Bulldogs.in the second half. Preston Parks scored 24 points to lead The Citadel; UMBC led the Bulldogs in rebounding 65-50. The big difference in the game came at the free throw line, where the Retrievers hit 27 of 49 attempts, and the Dogs only had 18 opportunities, hitting 14. Florida State's Terrence Mann scored 19 points leading #21 Florida State past Samford 76-68. Christen Cunningham led the Bulldogs with 16 points. Auburn's T.J. Dunans hit a buzzer-beating 3-point shot to lift Auburn to a 76-74 victory over Mercer on Sunday. The Bears' Ria'n Holland had 24 points for a game high, while Mustapha Heron put up 20 points for Auburn. The Bears are now 5-6 on the season. 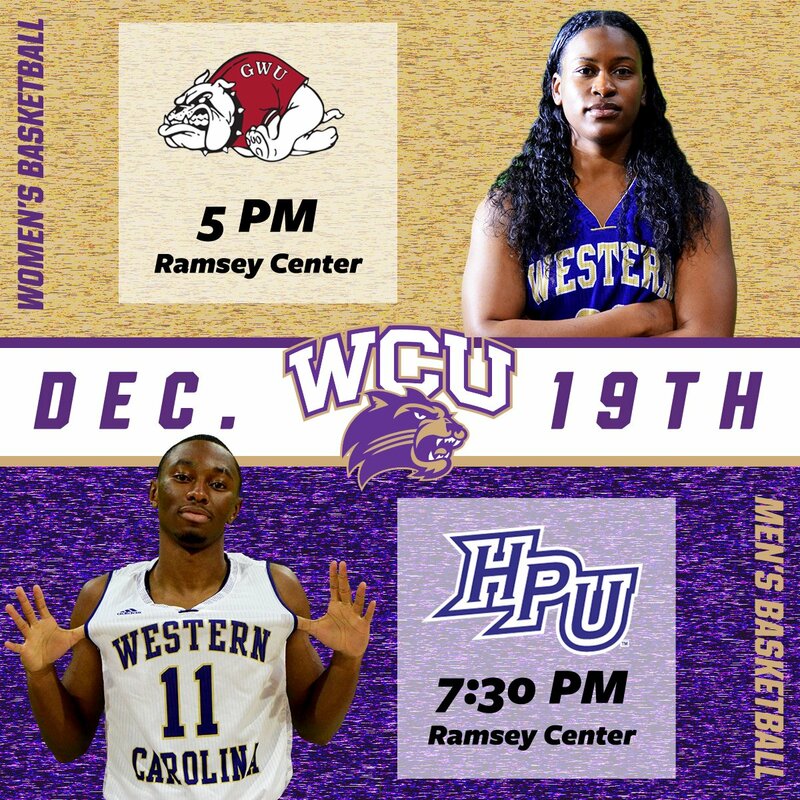 On Monday, the Cats return home from their grueling 7 game road trip, to meet the defending Big South regular season basketball champion, the Panthers of High Point University in the Ramsey Center. The game will be part of the Catamounts first double header of the season, as the women play Gardner-Webb in the 5:30 game. The Panthers are 6-5 overall, and currently on a two game win streak. This season, High Point is 5-2 at home and 1-3 on the road. The Panthers sit atop the Big South and are ranked 31st in the nation in 3-point shooting at 40.3 percent. The Panthers set a school record for 3-point shooting percentage in a loss at Vanderbilt on Dec. 6, going 12-15 (.800) from behind the arc in the 90-63 loss. The Panthers have wins over Averett, UNCG, Navy, Morgan State, Ferrum, and NC Wesleyan. Andre Fox is the Panthers leading scorer, averaging almost 15 points per game, while Miles Bowman leads in rebounds with an average of 9 per game. The team is averaging 68.2 points per game. and the Panthers are hitting 40% of their three-point attempts. -Andre Fox, G (6-4) 185 So. -Anthony Lindauer, G (6-3) 195 Sr.
-Ricky Madison, G/F (6-7) 215 So. Virginia Tech's Ahmed Hill scored a game high & a career-high 22 points leading the Hokies to a 113-71 victory over The Citadel. Preston Parks scored 20 points for the Bulldogs. Tech hit a sissling 60.9% field goals. The Bulldogs' Ahmad Thomas scored a game high 20 points, and MaCio Teague had the game-winning free throws, as UNC Asheville held off the Catamounts 59-57. Deriece Parks led the scoring for Western Carolina with 19 points. The difference in the game was the 20 points scored at the free throw line on 35 attempts. The Cats were hot at the free throw line, but only had 12 attempts, hitting 11. The Commaodores Matthew Fisher-Davis scored a game high 18 points as Vanderbilt survived a scare by the Mocs, winning 76-74 on a last second three-point jump shot by Luke Kornet. Justin Tuoyo scored 12 points and had 9 rebounds for the Mocs. State's Eric Eaves scored 17 points, Tashombe Riley had his second-career double-double and Greg Riley hit the winner with four seconds left as South Carolina State beat Furman 69-67 in Greenville. The Bulldog's Christen Cunningham scored 20 points as Samford held off South Alabama 82-79 on Friday night for their fourth straight win. Detrez Newsome named NCAA_FCS 1st team All-America by the Associated Press as an all-purpose back. John Wiley has been named the next defensive coordinator at Western Carolina by head football coach, Mark Speir. Wiley has over 30 years of coaching experience at a variety of levels to the Catamount football program. Coach Speir worked with Wiley at App State from 2003-09. Head Baseball Coach Bobby Moranda has announced the 2017 WCU Baseball Captains. Bryson Bowman, Dillon Bray, JD Long, and Matt Smith will lead the Cats in 2017.